Happy Fassy, Lowkey Loki, and Overwhelmed Owen. Happy Fassy - As you can see, everyone's favourite Irish/German ginger has a rather large smile (hence the many comparisons to a shark). These nominations make me so happy that I would smile like him, except my mouth is like, a third of his size. Lowkey Loki - (ha, see what I did there?) I don't really care much for this set of nominations. They're cool and all, but I'm not getting all fassy-nated over it. But they don't anger me that much either. So I'm lowkey excited for it. Or Loki excited for it. Whatever way you want to look at it. Overwhelmed Owen - I don't understand these nominations, just like Owen didn't understand how he got transported to 1920's Paris. And yeah, my face probably looked like his when I first saw these nominations. The Artist: Bérénice Bejo, James Cromwell, Jean Dujardin, John Goodman and Penelope Ann Miller. Bridesmaids: Rose Byrne, Jill Clayburgh, Ellie Kemper, Matt Lucas, Melissa McCarthy, Wendi McLendon-Covey, Chris O'Dowd, Maya Rudolph and Kristen Wiig. The Descendants: Beau Bridges, George Clooney, Robert Forster, Judy Greer, Matthew Lillard and Shailene Woodley. The Help: Jessica Chastain, Viola Davis, Bryce Dallas Howard, Allison Janney, Chris Lowell, Ahna O'Reilly, Sissy Spacek, Octavia Spencer, Mary Steenburgen, Emma Stone, Cicely Tyson and Mike Vogel. Midnight in Paris: Kathy Bates, Adrien Brody, Carla Bruni, Marion Cotillard, Rachel McAdams, Michael Sheen and Owen Wilson. At first glance, I was okay with this set of nominations. Then I looked again. First off, the saying goes that whatever wins this award goes on to win Best Picture. I'm 95% sure that The Help will win this award (because, you know, it has three actresses in contention in the other categories), but there is no chance in hell that it is going to win Best Picture. Then there's the inclusion of Bridesmaids. I'm so over the hype-machine behind this movie. I probably need to watch it again, but I still stand behind my belief that this movie was extremely over-rated and way too long. I would be happy that a female-driven comedy got in here, but I'm completely 'meh' over it. Still, there were a few good performances in it. But the biggest shock is Midnight in Paris' nomination. That's not saying that the movie is bad, because it is my second favourite movie of the year and I was pretty happy to see it's inclusion. 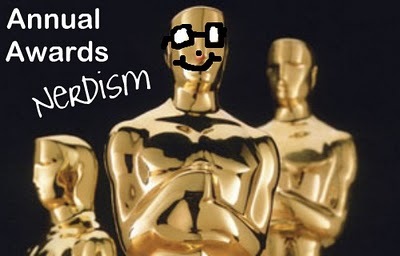 However, then I saw who was nominated for the movie. No Tom Hiddleston? No Alison Pill? No Corey Stoll?! These people did pitch-perfect work as their famous alter-egos, and pretty much made the film. Yet, we are given the performers who got their names on the poster, who I thought (no offence to them) did some pretty bland work. Sure, Adrien Brody was the stand-out, but the rest weren't overly impressive. It's such a shame because I would love for Midnight in Paris to win this award, but when you take Hiddles, Pill and Stoll out of the picture, there isn't a lot of show-stopping work on display. With the three shocks in place, I'll give this the Overwhelmed Owen. So, is this Demian Bichir like this year's Javier Bardem in Biutiful? He just seemingly came out of nowhere with his little seen performance, and now he is up with the big-wigs. I'm sure this performance is amazing, but this category is so tight that there isn't a lot of space for surprise nominations like this (again, no offence to him...I'm glad that someone like him got nominated). The other four are what we could expect, even though I'm sure Leonardo DiCaprio is losing momentum because of J. Edgar's poor reception and the rise of all of the other nominees. Still, there are plenty of snubs. No Michael Fassbender for Shame? This is not looking good for the Oscars - again, people shouldn't be so touchy about NC-17s. No Michael Shannon for Take Shelter? People are really fearing the apocalypse. No Gary Oldman for Tinker, Tailor, Soldier, Spy? I guess you'll have to sit this one out again, Gary. No Ryan Gosling for Drive? If it was more like Fast & Furious he would have got in no sweat. No Joey for War Horse? Jeez, guys, stop being so mean to horses! They don't deserve this exclusion! Anyway, I'm willing to let the positives weigh out the negatives. It's an okay line-up, but more Fassy would have made it better. 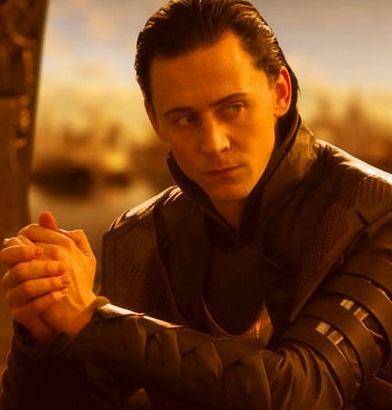 And I can't really pick out a definite winner, so it's a Lowkey Loki for now. When I look at this category all I can think is that it is so old-fashioned. No, this doesn't have a lot to do with the ages of the actresses. Look at it this way: Glenn Close plays a woman being a man in 19th century Ireland (period melodrama); Viola Davis plays a woman trying to overcome the problems with her race (another period drama, but with an awards-favourite problem); Meryl Streep plays Margaret Thatcher (a biopic...and it's Meryl Streep); Tilda Swinton plays the mother of a disturbed son (okay, maybe this isn't old-fashioned, but Tilda strikes me as old-fashioned); and Michelle Williams, still quite young, plays Hollywood's most exciting legend, Marilyn Monroe (another biopic, but this one is of an actress who needed an actress perfect for the role). Where's the female with the reptilian body art? Where's the girl who escaped from an abusive cult? Where's the depressed bride who hates the world just like Lars von Trier? Where's the British girl who keeps winning all of the breakthrough awards even though her film is just an indie love-story? Where's the other Brit who is in a movie named after a dinosaur? Hollywood awards: so afraid of change. These actresses make up a fine line-up, though. But it's just too old-fashioned for me to be all fassy-nated over it. I'm starting to wonder whether J. Edgar was really that bigger failure. Armie Hammer's inclusion in this category is quite confusing, even though I've heard good things about his performance and I love his perfectness to bits. But let's just say, I'm not sure that he'll be making it any further than this. Jonah Hill's inclusion confuses me also. Nick Nolte is a surprise inclusion, but I've seen a lot of people rooting for him so I guess I can deal with that. Branagh and Plummer don't surprise me, though. Because we all know that Plummer is going to win. Anyway, without Serkis, Hawkes or Brooks, this category feels like a huge disappointment. Yup, my eyes are widened in confusion at the moment. Also, since they completely snubbed Corey Stoll for his ensemble work, they should have nominated him here. After all, he was a great Ernest Hemingway. 1) I will not accept a Melissa McCarthy nomination if there's not an Andy Serkis nomination. I can't tell you the exact reason for this, but it's just a little rule I've made up in my head. 2) There's no Carey Mulligan. What a shame. (hahahahahahahahahahahaha, bet that one has been used a few times today). 3) There's no Shailene Woodley, either. She looked like a lock for a while, but her omission here could hurt her chances. 4) Vanessa Redgrave was left out for her work in Coriolanus. I thought she was a lock, too. 5) Turns out, the only 'locks' are from the same film. And even I can't be sure about Jessica Chastain. However, if my darling Chastain is nominated, I am happy. It looks like she'll be aiming for success with The Help, which I don't have a problem with at all (her performance was my favourite in that movie). This category is just really weird. Looks like a pretty disappointing lineup, eh? What are your thoughts on these nominations? No Albert Brooks for Drive... BOO!!!!! Haha clever what you did with those Fassy, Loki and Owen things. I'm not following the awards; I already know I'll be disappointed, so what's the point? Wake me up when the Oscar noms are announced. I loved your post, very cool way of rating the nominations- please keep using the 3 gentlemen for the rest of the award season! I was also very shocked that Fassbender, Brooks and Mulligan weren't on the list, but hey, I am still hoping for Golden Globes- I am pretty sure Brooks will be in, hopefully Fassy will get a chance, as well! No Carey Mulligan. What a shame! That was me haha. You know, I forgot about Serkis. Silly me. Definitely should be considered in the supporting category. I haven't seen Armie Hammer's performance. but I'd knock him out. I doubt it's better than Hawkes or Serkis. Jonah Hill too. It seems like they aren't going for Pitt in ToL either. So my five would be Plummer, Branagh (locks I assume), Brooks, Hawkes and Serkis. But that won't happen, will it? Tyler - Haha, for some reason, awards season is my favourite time of the year. Scott - Ah well, I'm sure they won't have much of an influence! Aziza - Don't worry, I will! I'll be using them for my predictions, too. Well, they both got in for the Globes, but no Carey Mulligan! Andy - Haha, I saw that. You're so witty! I've heard that Hammer is good, but the awful makeup job lets him down a bit. I reckon that might happen...but Hill keeps getting in. Which is strange, to me. Sati - WHY does everyone think that Bridesmaids is amazing? Nolte is actually terrific! I hope he gets all the awards for the supporting actor. I saw Warrior before SAG and GG nominations announcement, and even then, I thought "the guy rocks in this movie, he needs the Oscar".